Looking for a new gym can be an ordinary, even daunting process, we get it. 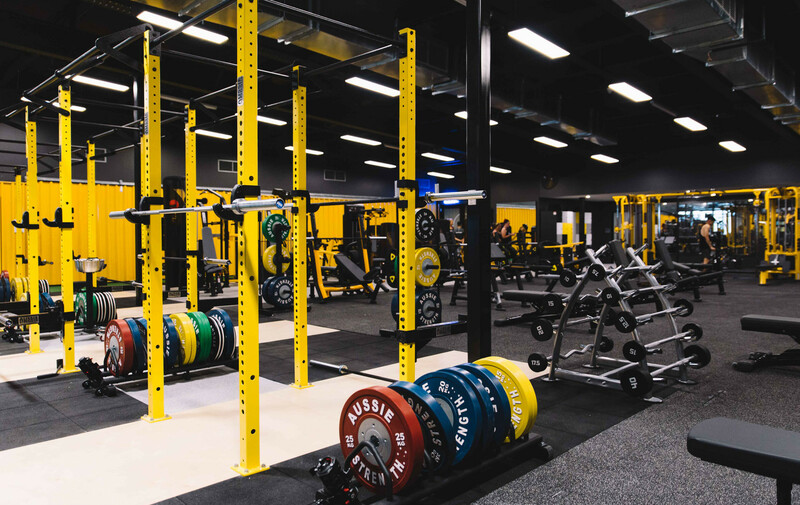 We noticed that Darwin gyms hadn’t quite yet taken the leap into crafting a creative, functional and accessible space that challenged our perceptions of what a gym could offer someone. But at Fitness Playground, our mission is to change the gym environment & experience. Because remember when you loved being active? We’re taking you back there. 1. THE DARWIN GYM FOR EVERYONE. 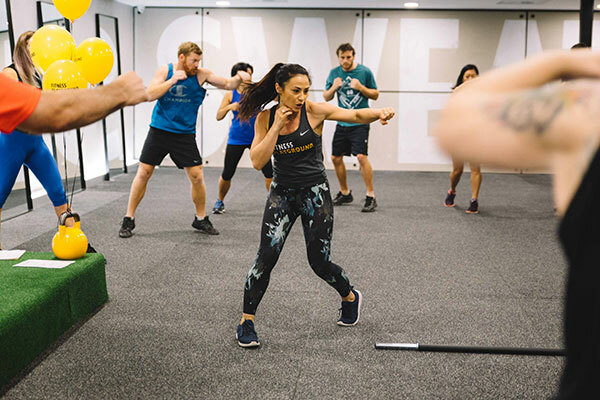 Fitness Playground is here to reinvent your gym experience, whether you’re a budding soldier or a super mum… Be inspired by a new way to train! 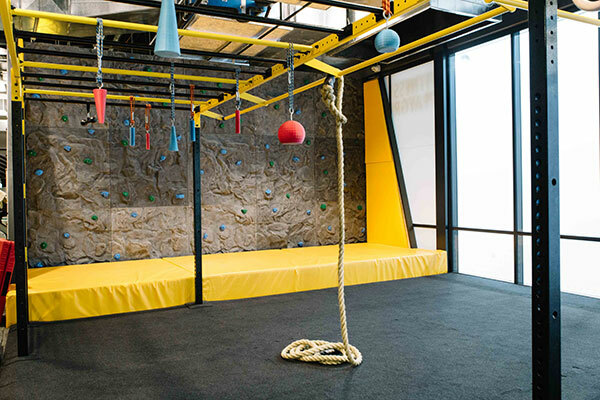 Launch off a climbing rope into a foam pit, scale our Rock-Climbing wall or swing from a trapeze in our signature CircusFit class. Crazy, right? It’s not all just fun and games. Okay it is. With 80+ classes a week, 24-hour access, Lift Zone, private MindBody Studio, Fight Cage & more in a huge 1600m2+ gym. It’s the playground for everyone, no matter your destination. Whether you’re a newbie yogini, a ninja warrior or a calisthenics guru, we’ve got you. 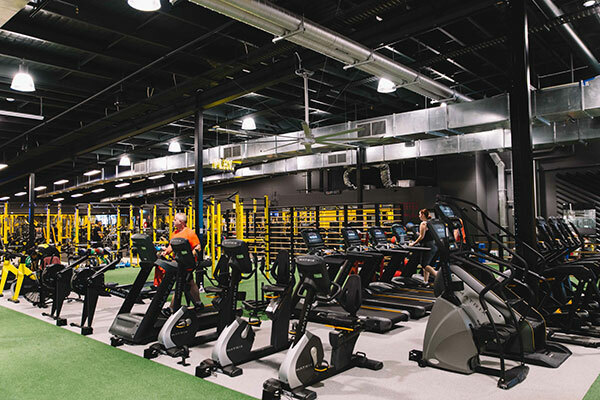 Since we Fitness Playground started almost 5 years ago, across our 5 locations, we’ve poured over $8MILLION back into our existing gyms to constantly better the experience for our members (and that’s no exaggeration). When we started, our focus wasn’t just getting as many sales as possible. It was to create the most memorable gym experience that made people keep wanting to come back and train (…and really, the sales will follow in suit). We’re serious about adventure, and challenge you to find another gym like us in Darwin. Enter a world of rigs, ropes, sleds, stairs (yes, stairs!) and grass. Race up our 5m high cargo net, unleash your inner ninja on the monkey bars, push the sled down a 44m grass track, flip a tyre or swing kettlebells. Bring back the days when you loved exercise! Love lifting? Us too. Step into one of 8 Olympic Lifting Platforms, 10 Squat Racks, 14+ Benches and every top machine we’ve been blessed with by the lifting gods. You can also train cardio, in true Fitness Playground fashion! Log into Facebook, watch YouTube or experience Virtual Active where you can choose your running destination, imagine running down Hollywood Boulevard or even through the Swiss Alps?! 5. OVER 60+ UNIQUE CLASSES. From boxing to ballet and everything in between, classes are our thing! Like high intensity? 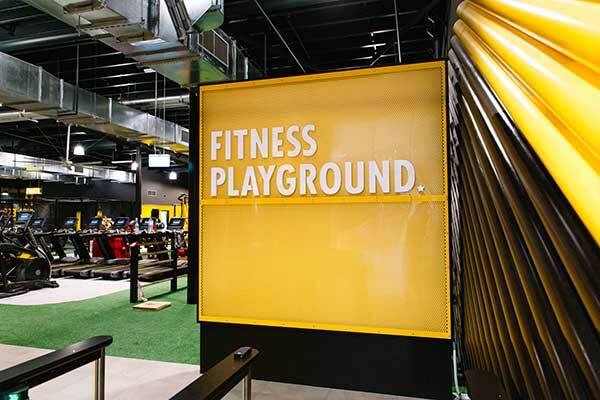 Try our trademark Fitness Playground sessions like Athletica, Limitless, and PUMP’D for a functional H.I.I.T. workout. Or want something more creative? Feel the rhythm in Brazilian Dance class Carnivale, be empowered in She’s Strong or swing from a trapeze in CircusFitTM. Our classes are hand-crafted by our very own instructors, when there’s a new one, it’s probably because one of our staff pressured us to adding it! 6. DARWIN’S EXCLUSIVE MINDBODY STUDIO. Now, this offering is pretty special. We invite you to experience a place like no other. Introducing Fitness Playground’s dedicated MindBody studio, in Gateway, Palmerston! You’ve most likely heard about us, but haven’t yet taken the leap in visiting. The Darwin fitness realm really hasn’t seen anything like it. Now something easily accessible at Gateway, Palmerston in Darwin! We understand having children can make it extra tough to get to the gym. 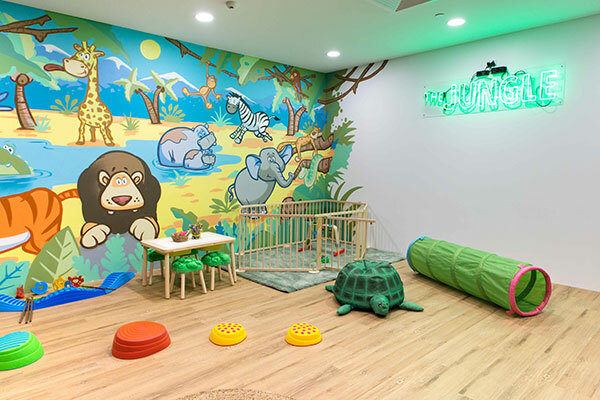 Create some “me time” by delivering your lovable little ones to our jungle gym kids crèche. 8. THE BEST (AND FRIENDLIEST) TRAINERS IN DARWIN. Our focus is our people. Our Staff & Members are one of the main reasons that we are one of Australia’s fastest growing gym chains, recently awarded Men’s Health Gym of the Year in both Sydney & Darwin. Did you know that our staff go through five rounds before they’re chosen to exemplify our brand? They also need more than just a Cert 3 or 4. We take it pretty seriously. Great humans. We recruit incredible people – based on personality & culture fit (over qualifications & experience). We empower our Darwin team to be the best they can be. It’s a place for everyone. Education. We grow our staff – providing over 200 hours per year of free in-house education & access to industry experts to make our Darwin Personal Trainers and Group Fitness Instructors great at what they do. Rewards & Their Future. We reward our staff – because they deserve to be recognised for the amazing work they do. 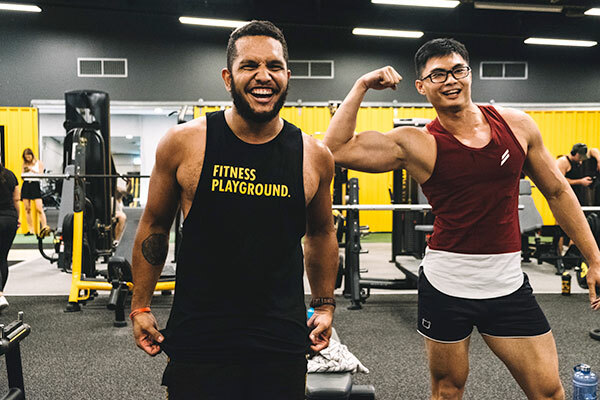 No other gym in Darwin invests in their crew the way we do.. We take their career to the next level with Fitness Playground’s on-going support and mentoring. Our environment. We are different. 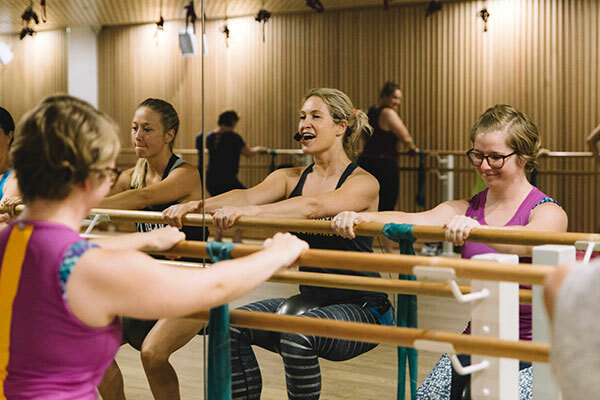 From our innovative design, functional playground and multiple training zones, over 60+ unique classes on offer, to our dedicated MindBody & Sweat Studio’s – this is a place that excites. 9. WHAT THEY SAY ABOUT US. HEALTHIER & STRONGER. MAYBE EVEN A LITTLE BIT TOUGHER. GET YOUR FREE 3-DAY PASS HERE.